After the close of the 1st Robotech War, the UN Spacy found itself critically short of operational capital ships. Many steps were taken to alleviate this, to include the re-flagging of the remainder of the operational Zentraedi fleet that remained in Earth-space. This was only meant to be a temporary measure. Zentraedi capital ships were larger and far more resource intensive than the Earth had the ability to effectively operate. The UN Spacy decided instead to focus on the construction of additional Niven-class carriers, and then the new generation of Banshee, Battle, Tristar and Tokogawa-class capital ships. While these new classes of ships were to fill out the battle groups of the UN Spacy, there was an additional requirement for long range exploration and colonization fleets of the Reconnaissance Expeditionary Force (REF). The first of these fleets was to be the Pioneer Mission, headed by the SDF-2 UES Odyssey. The Pioneer mission was tasked with reconnaissance, not colonization. Its role was to find the location of the Tirolian Mercantile Empires home world. Follow-on fleets were to be tasked with the role of exploration and colonization. These fleets would consist of an Angel-class Super Dimensional Colony Fortress (SDCF) and a small battle group. Each Emigration Fleet would include around 25,000 colonists. In the year 2011, completion of the UES Odyssey and the UES Angel were years away. So, frightened by the now very real prospect of the extinction of the entire human race at the hands of follow on Zentraedi forces, the United Earth Government (UEG) found itself clambering for avenues to get portions of the Earth’s population off planet and out of the Solar System as quickly as possible. 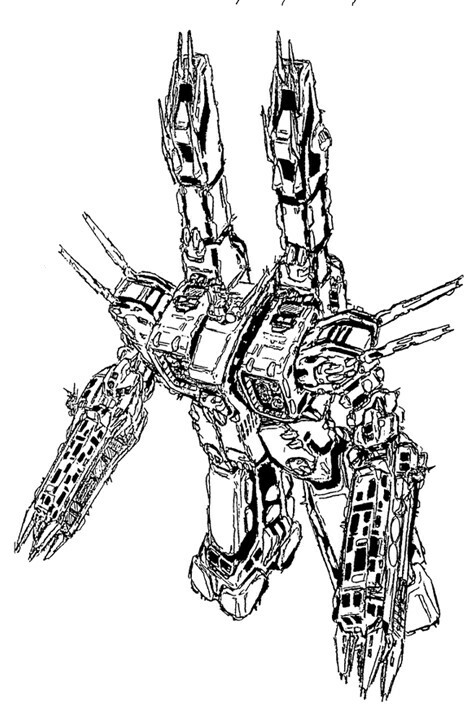 One proposal was to refit and recommission the SDF-1 UES Macross. This was a logical decision. The Macross had already been internally reconfigured during the 1st Robotech War to accommodate the refugees from Macross Island. All that would be required would be the repair of battle damaged suffered during the final battle of the war. These repairs would have introduced a host of modifications. First, and most obviously, would have been the replacement of the UES Prometheus and UES Daedalus with Forestall-class aerospacecraft carriers. These carriers would roughly double the amount of aerospace fighters which were accommodated by the original SDF-1. Next, the entire hull of the Macross would need to be strengthened and rebuilt in key stress areas. This led to hull profile that would have differed significantly from the Zentraedi Sian Macross-class Border Fleet Gun Destroyer. Finally, the ship’s internal spaces, crew compartments and living area would have been modernized. With a colonial population of just 25,000 rather than the SDF-1’s refugee population of over 70,000, the internal stores and comfort level could be increased significantly. 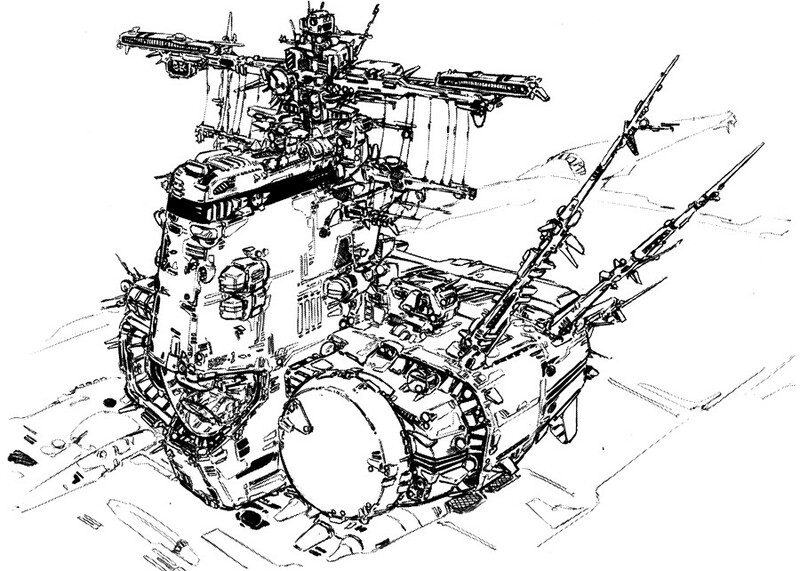 In the end, the extent of the SDF-1’s damage was to great to economically return the ship to service. Rather, it was decided to allocate these resources to the construction of the SDF-2 and the Angel-class colonization vessels. In any case, the argument became mute when the Macross was destroyed in the Zentraedi Malcontent attack on Macross City in January 2014.